Prepare the cargo train for its next destination! Get the Red Cargo Train ready to roll through LEGO® City with the LEGO Power Functions Remote Control #8879! Last known price is 41% above the initial Lego retail price! 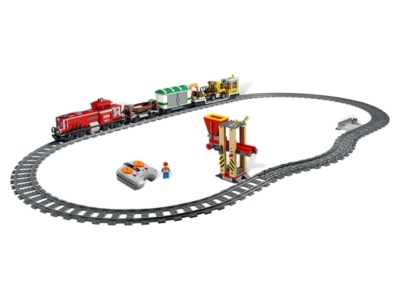 The Red Cargo Train (3677) Lego set is no longer directly available from the sites below. However, 3rd party partners of these sites might still have the set available.